What are the relevant statutes and regulations governing securities offerings? Which regulatory authority is primarily responsible for the administration of those rules? the Rules on the Conditions and the Manner for obtaining approval or registration of domestic securities abroad. The main role in the area of securities is given to the Macedonian Securities and Exchange Commission (MSEC), as well as the Central Securities Depository of Macedonia (the Depository). However, the main responsibility for the administration of the securities legislation lies with the MSEC. The MSEC regulates and supervises all participants in the operation of securities in the territory of Macedonia. The MSEC is also responsible for the legal and efficient functioning of the securities market, as well as for investors’ rights protection. What regulatory or stock exchange filings must be made in connection with a public offering of securities? What information must be included in such filings or made available to potential investors? data about the business of the issuer and the use of proceeds from the issuing of the securities. The MSEC prescribes the contents of the request for approval for issuance of securities, types of issuers and types of securities, through the process of public offering. The decision on the request is made within 60 calendar days of submission. Public offers amounting to less than the Macedonian denar equivalent of €25,000 do not require approval by the MSEC. In this case, the MSEC is only informed of the offer, the issuing of the securities is notified to the MSEC and an announcement of the offer is made in the media. However, this type of offer (without approval by the MSEC) can only be made twice a year. The offer of securities made contrary to the provisions of the Securities Law will be considered null. What are the steps of the registration and filing process? May an offering commence while regulatory review is in progress? How long does it typically take for the review process to be completed? other documents that the MSEC requires. The review process of the request should not take more than 60 calendar days from submission of the request. While the review is in progress no offering can take place. The issuer must begin the procedure for subscription and payment for publicly offered securities within, but no later than, 30 calendar days following the receipt of the MSEC’s approval. The issuer must publish an invitation for subscription for and payment of its securities in the Macedonian language and Cyrillic alphabet, in a daily newspaper published in Macedonia, 14 calendar days prior to the commencement of the subscription for securities. The issuer must also publish the prospectus and invitation for subscription and payment of the securities on the stock exchange’s web page, where the securities are or will be listed 14 calendar days prior to the commencement of the subscription for securities. The prospectus must be made available to all interested parties in the main offices of the issuer and in all locations at which the applicable securities may be subscribed and paid. The public offer of securities must be conducted for no longer than 12 months after the day stipulated in the prospectus for the commencement of subscribing and paying in of the securities. The public offer shall be deemed successful if, within this deadline, at least 60 per cent of the securities offered in the prospectus are subscribed for, unless the issuer stipulates a higher threshold in the prospectus. No later than 15 calendar days following the close of a public offer, the issuer must notify the MSEC of the quantity of the subscribed and paid securities, namely, the realisation percentage. The issuer must publish this information in at least one daily newspaper published nationwide and in the Macedonian language no later than 15 calendar days after the offering closes. What publicity restrictions apply to a public offering of securities? Are there any restrictions on the ability of the underwriters to issue research reports? The issuer of securities may issue advertisements in conjunction with a public offering of securities. All advertisements relating to a public offer of securities have to include information on the day of the first publishing of the prospectus and where a copy of it may be obtained. Advertisements must be of a promotional nature. The information in an advertisement must not be inaccurate or misleading and should be consistent with the information contained in the prospectus. Also, a brokerage house can publish advertisements in the media offering to buy or sell securities on behalf of the issuer. Restrictions outlined above for the issuer and the brokerage house also apply to the underwriters. Are there any special rules that differentiate between primary and secondary offerings? What are the liability issues for the seller of securities in a secondary offering? 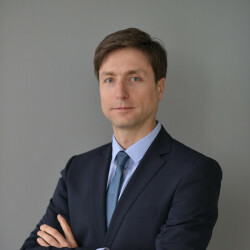 The Securities Law did not have a definition for ‘initial public offer’ (it only spoke of a public offer of securities) until the amendment of this law at the end of January 2013, when the initial public offer was defined as the first public offer of securities published by a joint-stock company or a public offer published at the transformation of a limited liability company into a joint-stock company. Usually, the initial public offer is used by the companies to provide additional capital to finance further growth of the company. One of the main features of joint-stock companies is that, according to legal regulations, such company may get fresh capital by issuing new shares (known as secondary offering of shares (SPO)), offering a new issue of shares for the first time to the general public. This is to raise capital from external sources where existing shareholders in the joint-stock company - the publisher - are willing to cut or divide their participation in the existing shareholder structure with new investors - the shareholders. The motives for a secondary offering of new shares are providing additional capital to finance the development of the company, protection of undertaking and increasing competitiveness, taking over competing companies or companies from similar branches and activities, etc. However, no additional provisions were made that would differentiate the initial public offer from the subsequent public offers made by the joint-stock companies, so in essence the same rules apply to both situations. What is the typical settlement process for sales of securities in a public offering? A subscription for publicly offered securities is carried out at the seat of the issuer or at an office of a brokerage house or bank that is authorised by the issuer. During the subscription period, all amounts paid by a purchaser for offered securities must be kept in a special bank account and such funds may not be withdrawn or used by the issuer until the offering has been successfully closed. Upon successful closing of the public offer, the issuer should register the securities with a licensed securities depository. The settlement process is carried out by the securities depository. The ownership rights are established by the registration of the security in the owner’s account at the depository (if a new security is issued), or by transfer to the new owner’s account at the depository. The statement of the securities account position delivered to the owner of the securities is considered proof of title when the excerpt is issued. Transfer of the securities and payment of the subscription monies are settled by a delivery versus payment transaction. The settlement can occur immediately and no later than three working days from the day of the conclusion of the transaction. Are there specific rules for the private placing of securities? What procedures must be implemented to effect a valid private placing? in the case of a loan that is transformed into a share in the company in a procedure for increasing the basic capital of the company when the loan is given by the sole shareholder of the company. No prospectus needs to be prepared and published for this purpose. In the event of a private offering, the issuer must submit to the MSEC its request for approval of the private offering, an act of issuance of securities and a proposed announcement to the public for realisation of the private offering. The MSEC shall decide within 15 days of the submission of the complete request. Certain special rules apply to this part of the procedure regarding pricing, which cannot vary by more than 20 per cent from the market value of the securities. The securities subject to a private offering are to be paid within 15 calendar days of the day the decision of the MSEC becomes final. If the identity of the buyer of the securities changes during the duration of the private offer, the issuer must acquire authorisation. Within five business days of closing a private offering, the issuer must inform the MSEC of the quantity of the securities subscribed for and paid for (ie, the realisation percentage). The issuer can make only one private offer of securities per calendar year. The MSEC prescribes the form and the contents of the request for approval, announcement and notice. What information must be made available to potential investors in connection with a private placing of securities? The same information that applies as per a public offering (see question 2). Do restrictions apply to the transferability of securities acquired in a private placing? And are any mechanisms used to enhance the liquidity of securities sold in a private placing? Except for the restriction in the time period for placing a private offer (see question 7), no other restrictions apply to the transferability of securities acquired in a private placing. The delivery versus payment settlement mechanism is used to enhance the liquidity of securities sold in a private placing. Obligations to transfer securities resulting from trade transactions shall be settled by a simultaneous change of the right in securities ownership from the seller’s account to the buyer’s account and payment of the purchase price of securities, in accordance with the delivery versus payment principle. What specific domestic rules apply to offerings of securities outside your jurisdiction made by an issuer domiciled in your jurisdiction? 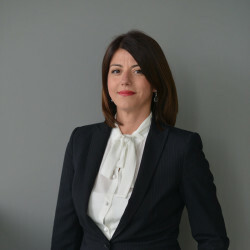 In accordance with the Law on Foreign Exchange Operations, the Securities Law and the Rules on the Conditions and the Manner for obtaining approval or registration of domestic securities abroad, Macedonian residents can issue and introduce securities and share certificates in investment funds that are domiciled abroad only after approval from the MSEC. The issuer of the securities submits a request for approval for issuing and introducing securities abroad to the MSEC. The MSEC determines the conditions and the manner in which it is possible to obtain approval for issuing and introducing securities abroad. If the resident meets the conditions and requirements determined by the MSEC, upon prior request, within 30 days of submission of the request along with the required documentation, the MSEC issues approval for the issuance and introduction of securities and share documents abroad from the resident investment funds. If they do not meet the requirements and conditions, the MSEC shall make a decision to refuse the request. The MSEC then informs the Ministry of Finance and the National Bank of the Republic of Macedonia of the granted approval. Residents may register, pay and trade securities abroad only through an authorised participant in a securities market or through an authorised participant in a foreign stock exchange or organised securities market. What special considerations apply to offerings of exchangeable or convertible securities, warrants or depositary shares or rights offerings? The Securities Law makes no specific provisions for offerings of exchangeable or convertible securities, warrants or depositary shares or rights offerings. What types of underwriting arrangements are commonly used? In accordance with the Securities Law, the possibility of underwriting exists for entities authorised by the MSEC, but it is not commonly used. Few of the entities authorised by the MSEC have registered for this type of activity. The arrangements are focused on execution of the transactions and the activities on behalf of the issuer of the securities that are required for the successful public offering of securities with or without a mandatory purchase of the unsold securities. What does the underwriting agreement typically provide with respect to indemnity, force majeure clauses, success fees and overallotment options? As mentioned above, the details of the underwriting arrangement are not regulated in detail by the legislation, and in essence, this is a matter for the parties to agree on. What additional regulations apply to underwriting arrangements? Other than the provisions contained in the Securities Law, no regulations regarding underwriting arrangements exist. In which instances does an issuer of securities become subject to ongoing reporting obligations? In accordance with the definition given in the Securities Law, a joint-stock company that has made a public offer of securities, a company with a basic capital equivalent to €1 million or more and that has over 50 shareholders, with the exception of companies listed on the stock exchange, is considered a joint-stock company with special reporting obligations. The MSEC keeps a register of joint-stock companies with special reporting obligations. Joint-stock companies with special reporting obligations must distribute to the MSEC the annual, half-annual and current reports. For the half-annual report, there is a special deadline, and the joint-stock company must submit this report to the MSEC within 45 calendar days of the ending of the half-year period. Companies also have an ongoing reporting obligation in relation to each piece of price-sensitive information, and for such information, they have the obligation to submit a report to the MSEC immediately, but not later than the following working day, as well as the obligation to publish information on such price-sensitive information in at least one daily newspaper in Macedonia. The obligation for ongoing reporting ends on the day of deletion of the joint-stock company from the register of companies with special reporting obligations. What information is a reporting company required to make available to the public? Each reporting company must publish a summary of the audited annual report, along with the opinion of the certified auditor, in at least one daily Macedonian newspaper within 15 calendar days of the day the audited annual report was received by the MSEC. The reporting company must immediately issue a public report published in at least one daily newspaper in Macedonia as soon as possible, but no later than 10 calendar days after obtaining the price-sensitive information. What are the main rules prohibiting manipulative practices in securities offerings and secondary market transactions? The Securities Law lists several prohibited actions related to securities, including unauthorised offering of securities, price manipulation, spreading incorrect information, use of manipulative and fraudulent actions, and incorrect or misleading financial reports. The offering of securities made contrary to the legal provisions will be considered null. It is also prohibited, when making an offering of securities, to include false price-sensitive information in the prospectus, or omit to include important information or price-sensitive data, if this could mislead investors. What measures are permitted in your jurisdiction to support the price of securities in connection with an offering? The Securities Law does not provide articles on support of the price of securities in connection with their offering. Such provisions are given in the Law on takeover of joint-stock companies. In accordance with this law, the price, namely, the exchange ratio for the securities determined by the offeror of the purchase offer, must be equal for all the securities of a certain kind that are subject to the purchase offer. The price in the takeover bid must not be lower than the highest price at which the bidder or the persons it acts in concert with has bought securities in the past 12 months prior to the announcement of the intention to take over. If the price is lower than the average price of the securities reached at an authorised stock exchange in the past 12 months prior to the announcement of the intention to take over, the bidder shall be obligated to offer at least the average price reached at an authorised stock exchange. If the securities that are the subject of the takeover bid are not traded in the past 12 months prior to the announcement of the intention to take over, the bidder shall be obliged to offer a price at least in the amount of the average value of the securities determined by an authorised appraiser. The average price of the securities reached at an authorised stock exchange shall be calculated as a simple arithmetic mean of the daily weighted average prices reached at the authorised stock exchange. A bidder who, with a period of one year upon the expiry of the deadline for acceptance of the successful takeover bid, acquires securities at a price higher than the price in that bid, shall be obliged to pay the difference in the price in cash to the persons who accept the bid within a period of eight days as of the acquisition of the new securities. If the bidder in its takeover offers convertible securities in a conversion ratio according to which the person who accepts the bid does not receive a whole number of convertible securities, the bidder shall be obliged to offer the person who accepts the bid payment of the difference in price. If the buyer in the procedure for a takeover of shares purchases at least 95 per cent of the shares with the right to vote in the company to which the purchase offer refers, he or she has the right to purchase the other shares from the shareholders that did not accept the purchase offer, which must be done at an identical price to the shares in the public offer (ie, the last changed version of the public offer). From the perspective of the minority shareholder and the protection of his or her interests, if the buyer in the procedure for the takeover of shares purchases at least 95 per cent of the shares with the right to vote in the company to which the purchase offer refers, he or she has the obligation to purchase the other shares from the shareholders that did not accept the purchase offer, which must be done at an identical price to the shares in the public offer (ie, the last changed version of the public offer - the squeeze-out, sell-out principle). What are the most common bases of liability for a securities transaction? The MSEC has far-reaching authority to control the behaviour of the participants in a securities transaction through several measures. However, parties pursuing compensation for manipulations and improper activities that have caused them to suffer damage can only attain a remedy by bringing civil proceedings. The MSEC may also start proceedings before other authorities where there is a founded suspicion that an entity has breached the provisions of the securities legislation. It is also authorised to be joined in judicial proceedings, with the purpose of informing the court on its views and interpretations on the matter. What are the main mechanisms for seeking remedies and sanctions for improper securities activities? A civil proceeding is one of the mechanisms that can be used to remedy improper securities activities. Where the lawsuit is brought by a purchaser of securities that was unaware that the published prospectus contained invalid data, reimbursement of the paid-in sum plus the calculated interest, lowered for the income made and the lost profits as a result of not possessing the security, may be claimed. A lawsuit can be filed against the issuer of the securities, the signatories of the prospectus, the members of the managing and supervisory boards or the board of directors at the time the prospectus was issued, the accountant or authorised supervisor who has given consent to be named as a person who prepared or approved a part of the prospectus. the price at which the securities were sold at the stock exchange after the finishing of the judicial proceeding. A civil proceeding can also be initiated for securities’ price manipulation, where compensation can be awarded for lost profits. The right to initiate a civil procedure becomes obsolete one year from the day the facts for the breach of law were acquired, and a maximum of three years from the breach of the legal provisions. In general, civil, criminal and administrative procedures are available in the case of improper securities activities. 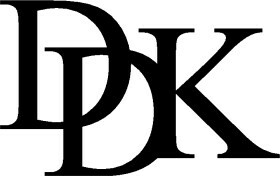 Attorneys at Law (DDK) represents the new generation of Macedonian lawyers, determined to follow global trends of organization, management and legal know-how, providing clients with the highest-quality expertise focused on Macedonian regulations.